Answer - As professional cleaners, we recommend at least once a year. 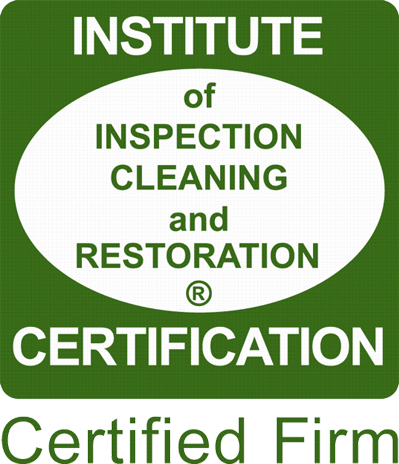 The Institute of Inspection Cleaning and Restoration Certification IICRC also recommends this. The carpet manufacturers and retailers require cleaning once a year to keep warranties up to date. Depending on your lifestyle: I.E. traffic, pets, children, entertaining etc. you may want to clean "high use" areas more frequently. Many Duo-Care customers have us in to clean 2-3 or more times a year. Remember this will not harm your carpet or upholstery as proper IICRC procedures are always used. Answer - There are 2 basic construction types of carpet: cut pile or loop. There are thousands of varieties of both types including blends. After choosing your color, style or pattern, the most important question to answer is what rooms or areas will these carpets be used in? Rooms that have less use such as bedrooms, or a library may need a less durable carpet. Family rooms, hallways and stairways will need a more durable carpet. Wool - Natural wool carpet is the benchmark of fine carpet, but it is very expensive and is more prone to staining than synthetic fibers. OK we have covered a lot. We don't want you to be confused or feel this is too complicated, but your carpet is your 3rd largest purchase after your home and automobile. One of the most important variables to consider is fiber density. The tighter and more compact the yarn is the better the carpet will wear. The more face yarn per square inch, the longer the carpet will hold its shape and traffic patterns will not be as pronounced. This is true for cut pile or loop style carpets. The last thing to discuss is carpet padding or cushion. The same rule of density applies. There is a proper padding for every carpet application. Talk to your carpet retailer for more information. Answer - It depends on a few factors. Most carpet will be dry in 4-6 hours, but very dense carpets may take longer. The time of year also affects dry times. Winter is the fastest season for drying because of the low humidity created by your home furnace. Regardless of the time of year, your carpet should be ready to use in less than 12 hours. Upholstery will usually be ready to use about 4-6 hours after cleaning, sometimes sooner. Answer - Vacuuming is the most important maintenance for carpeting. 90% of all soil is dry particulate soil. 80% of that soil can be removed with vacuuming! The IICRC recommends vacuuming every day, however 1 to 2 times a week is sufficient for most homes. So vacuum away, as much as you want! Answer - Many models and brands are effective, but CFM (cubic feet per minute) is the key. This is what creates the actual suction. The better the vacuum is sealed, generally the better the CFM. Try to find a vacuum with HEPA filtration. That means it has a fine filter to keep dust and allergens trapped inside the vacuum instead of blowing them around your home. Make sure you set the beater bar to a proper height and keep the bag or canister from overfilling. You should be able to buy a very good vacuum for 200.00-400.00. Answer - In General the same rules apply to upholstery as they do to carpet. Vacuum often and clean once every year or so. Upholstery acts like a filter, collecting airborne dust and allergens. The arms, headrests and cushions collect oils and food proteins along with pet dander. Whatever type of fabric your furniture is upholstered with, Duo-Care will use the right method to safely clean it. Most customers are pleasantly surprised with the appearance and scent of their freshly cleaned furniture. Duo-Care can use a variety of cleaning agents on this problem to help reduce the severity and improve the appearance greatly. Answer - Remember, dry soil is the enemy. Sand and gritty abrasive granular soil "cuts" carpet fiber. This causes wear, taking the luster out and leaving a dull appearance to your carpet. Use a good mat system before your outer doors to help keep soil outside. Vacuum those often. Take your shoes off! You have heard this a thousand times, and it is 100% true. Shoes are the primary source of dirt getting into your home. Vacuum, Vacuum, Vacuum - This removes dry soil, pet hair, food crumbs, and allergens. Blot up spills quickly with absorbent materials such as terry cloth towels or paper towel. Call Duo-Care for spotting tips or to schedule an appointment. Have your carpet cleaned annually by a professional company like Duo-Care. 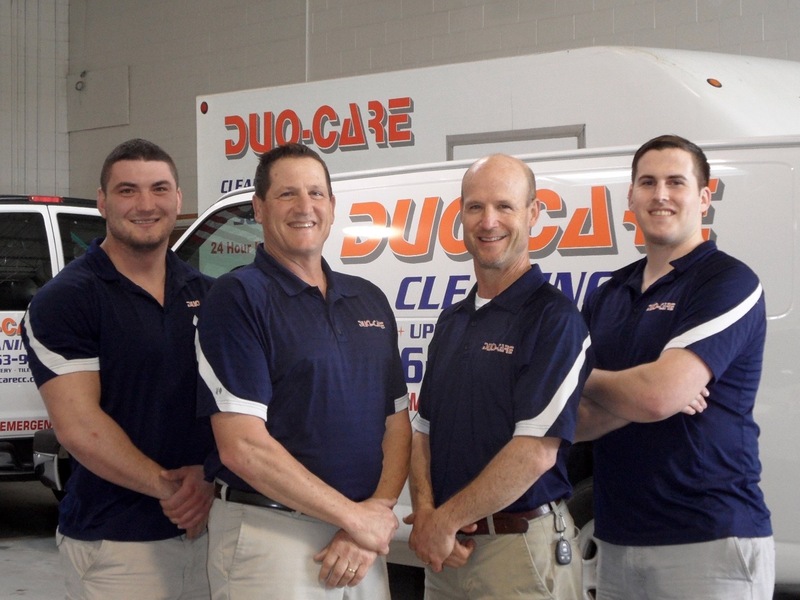 Why Choose Duo-Care Cleaning and Restoration? 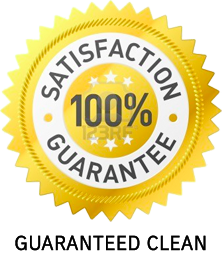 Duo-Care is the best in the cleaning and restoration business for a number of reasons. With every job from Duo-Care you get the owners personally there operating the equipment, caring about the quality of work being done. Because of this, you never have to worry about making phone calls after the fact to get something fixed: We get it done right the first time. Being so involved means a lot of things. We always work with the client to get everything done for them at the most reasonable price. At Duo-Care, we're proud to say we have always worked with customers to get all the work done within the constraints of insurance funding.